During the Deep Water Horizon spill, Obama put BP in charge of hiding the huge extent of the destruction, they poured in this toxic corexit stuff, and that made the spill much much worse. This year alone 10% of the manatees in the Gulf have died. People in the area are having skin lesions and other problems. Other parts of his body, however, seem to be in perpetual disrepair. Dizziness, nausea, diarrhea, bloody stools and cognitive issues surface intermittently, painful reminders of the toxic assault he and untold others endured following the April 2010 explosion on the BP Deepwater Horizon oil rig. Several government agencies and BP together hired a public relations firm together to tell lies about the spill to the public, and that same firm – then call Pier System, now called Witt O’Brians, has been put in charge of lying about the Arkansas tar sands spill. The criminals are firmly in charge. This is your morning http://cinziamazzamakeup.com/?x=vardenafil-brand-prezzo Open Thread. Pour your favorite beverage and review the past and comment on the future. Find the past enter source url “On This Day in History” here. On this day in 1564, William Shakespeare born. Shakespeare’s father was probably a common tradesman. He became an alderman and bailiff in Stratford-upon-Avon, and Shakespeare was baptized in the town on April 26, 1564. At age 18, Shakespeare married Anne Hathaway, and the couple had a daughter in 1583 and twins in 1585. Hamnet, Shakespeare’s only son, died 11 years later, and Anne Shakespeare outlived her husband, dying in 1623. Nothing is known of the period between the birth of the twins and Shakespeare’s emergence as a playwright in London in the early 1590s, but unfounded stories have him stealing deer, joining a group of traveling players, becoming a schoolteacher, or serving as a soldier in the Low Countries. Sometime later, Shakespeare set off for London to become an actor and by 1592 was well established in London’s theatrical world as both a performer and a playwright. The first reference to Shakespeare as a London playwright came in 1592, when a fellow dramatist, Robert Greene, wrote derogatorily of him on his deathbed. 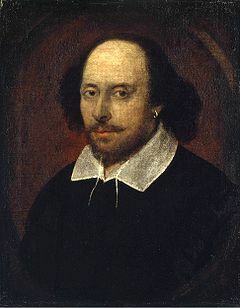 His earliest plays, including vardenafil senza ricetta Firenze The Comedy of Errors and propecia in the uk The Taming of the Shrew, were written in the early 1590s. Later in the decade, he wrote tragedies such as Romeo and Juliet (1594-1595) and comedies including The Merchant of Venice (1596-1597). His greatest tragedies were written after 1600, including Hamlet (1600-01), Othello (1604-05), King Lear (1605-06), and Macbeth (1605-1606). President Obama’s efforts to appease Washington’s Serious People ran into serious obstacles last week. Responding to the cries of the Washington deficit hawks, President Obama proposed cutting Social Security by adopting a different measure of the rate of inflation for the annual cost-of-living adjustment (COLA). This measure would gradually reduce the value of benefits through time. By age 75 retirees would see a benefit that is roughly 3 percent less than under current law. This is a much bigger hit to the income of the typical retiree than the tax increases at the end of last year were to the income of most of the wealthy people. Why is a Democratic president trying to cut Social Security in response to a crisis created by a combination of Wall Street greed and Washington corruption and incompetence? Jack Lew, the Treasury Secretary and former head of the Office of Management and Budget, testified before the Senate Budget Committee recently. His written testimony explains the priorities set by President Bipartisan, Barack Obama, who seems to think he was elected on the long-term Republican promise to balance the budget. Lew tells us that Obama’s budget is based on his Grand Bargain offers to Speaker Boehner that couldn’t garner any Republican backing. Lew doesn’t explain why that should be a starting point for further capitulations. Lew mentions such balanced ideas as the Chained CPI. That’s the part where we slash at Social Security and raise taxes on the middle class by raising income tax brackets less than inflation. Lew explains the reason for this assault on the 99%: “The chained CPI is a more accurate measure of inflation in that it does a better job of reflecting the substitution of goods in response to relative price changes.” That is a lie. The CPI is supposed to measure how much it costs to maintain your lifestyle. The Chained CPI measures the decline in your standard of living as you change your protein intake from an occasional piece of beef to Alpo. Lew thinks that’s not a problem because it’s all protein. And it’s not a problem for the administration’s rich clients, whose life-style is utterly unaffected by inflation. For the 99%, the Chained CPI assumes that you are just as happy with canned catfood as you were with fresh salmon. Lew’s headline number is $580 billion in tax hikes. It dwarfs the impact of cutting Social Security, which is $130 billion. At the same time, we are increasing taxes by $100 billion by raising the brackets more slowly than actual inflation. So, we have an actual $680 billion in increased revenues. Let’s see what we do with those. You probably think it has something to do with helping the middle class, as Lew claims in the section labeled “Strengthening the Middle Class by Investing in the U.S. Economy”. That translates to More Trickle Down From President Bipartisan. He wants to increase funding for US agencies to promote trade, including the Trans-Pacific Partnership, and the Transatlantic Trade and Investment Partnership, the new NAFTAs, and will hurt even worse as we watch corporations erode our sovereignty. Then we recycle the money back to corporations that shift foreign production back to the US. We paid them to leave, through deductions available for moving out (which supposedly will be repealed), and now we pay them to return. But that’s not all the corporations won. Take a look at the budget, pp. 7-35, where you can see all the money going to corporations on its way to trickling into the pockets of the rich. Folk singer and guitarist Richie Havens passed away this morning from a sudden heart attack . He was 72. Havens, widely admired for his briskly rhythmic guitar style and richly textured voice, became a part of history for serving as the opening performer at the Woodstock festival in 1969. Havens transfixed the crowd at the start of that storied weekend. In a way, he had to. He was asked by the organizers to extend his set to nearly three hours to kill time since most of the other performers hadn’t yet reached the site, due to the choking crowds. Havens’ subsequent improvisation on the spiritual “Motherless Child” – threaded with his own inspired vamp of “Freedom” – become one of the festival’s signature sounds. Increasingly, Havens devoted his energies to educating young people about ecological issues. In the mid-1970s, he co-founded the Northwind Undersea Institute, an oceanographic children’s museum on City Island in the Bronx. That, in turn, led to the creation of The Natural Guard, an organization Richie describes as “a way of helping kids learn that they can have a hands-on role in affecting the environment. Children study the land, water, and air in their own communities and see how they can make positive changes from something as simple as planting a garden in an abandoned lot. Richie passed away on Earth Day. May the Goddess guide him on his journey to the Summerlands. May his family and and friends and all the world find Peace.